All 4 bedrooms are very spacious and filled with natural bright light. Beds are very and have very comfortable and ensure deep sleep at night. 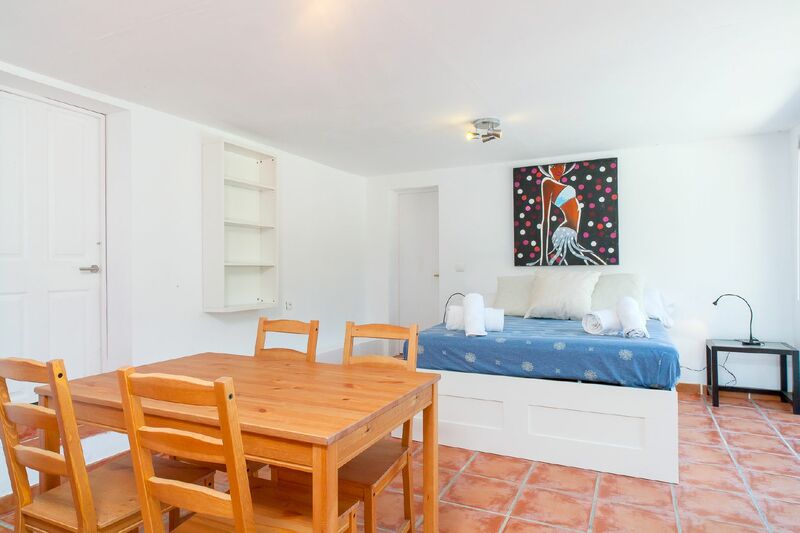 There are 3 double bedrooms and another with modern bunk beds, ideal for your children. There are 3 well equipped ultra modern bathrooms: there is one en-suite to the double bedroom, with toilet and shower enclosure. Cooking delicious recipes will be very easy in this modern kitchen featuring plenty of different gadgets: electric kitchen, fridge, freezer, oven, microwave, kettle, and dishwasher. The cozy living room is extremely pleasant, filled with natural light and harmony, and includes very comfortable soft sofas, flat-screen TV and a dining area with a 6 seater table to accompany nice evenings with your friends and family. Our house includes confortable sunbeds, large terraces where to have healthy walks, a big pool full of transparent water to enjoy during your summer holidays, and also a Ping-Pong table! Very close to the house you will be lucky to meet the iconic village of San Antonio, very known for hiding amazing sunsets and plenty of different water activities. 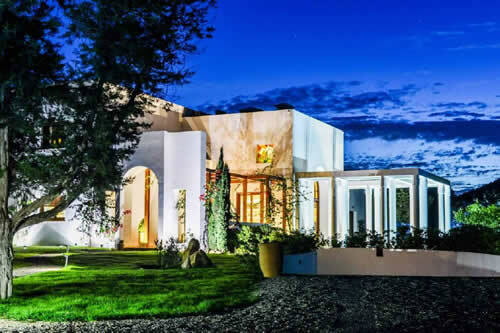 Charming villa with private tennis court located in the center of the island in the quiet hills of San Carlos. 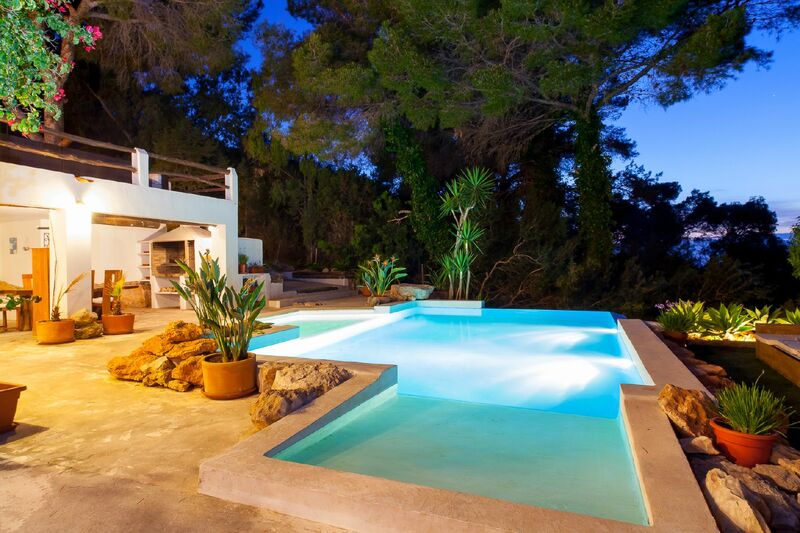 Villa Joelle is perfect for those looking for privacy, tranquility and peaceful holidays. 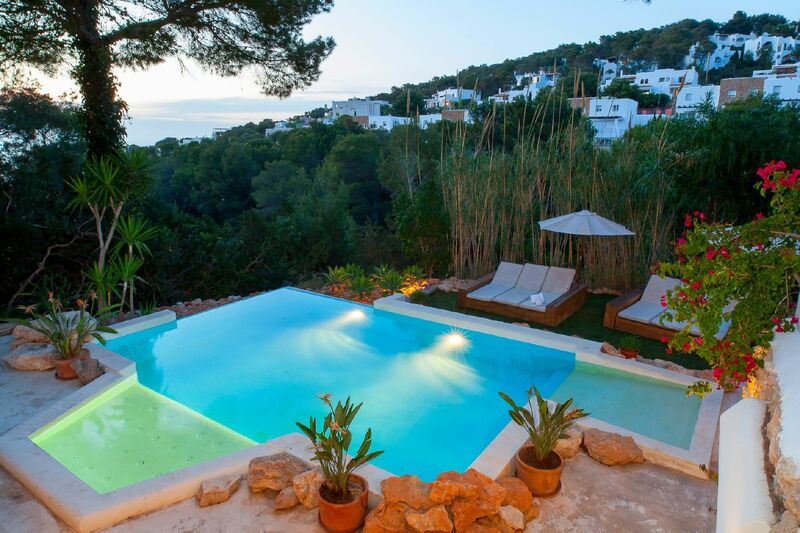 It is just next to the most beautiful northern beaches of Ibiza. 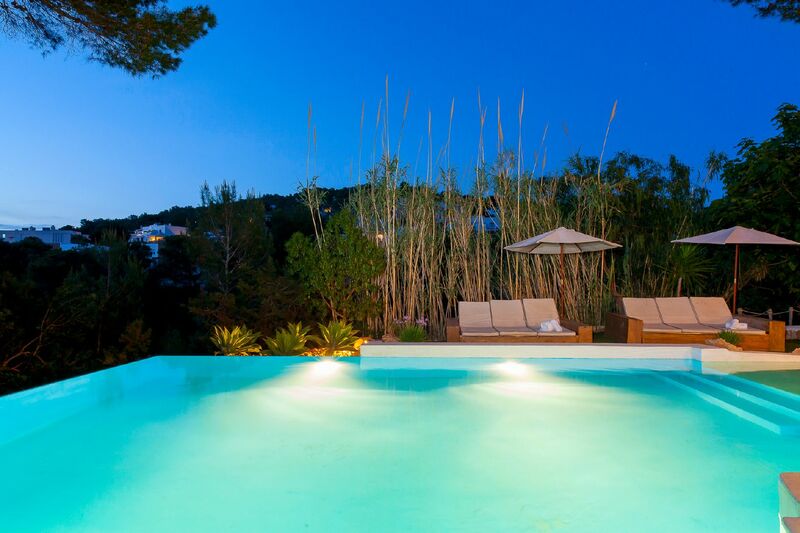 The villa offers a private tennis court, large beautiful gardens and big salt water pool and various chill out areas. 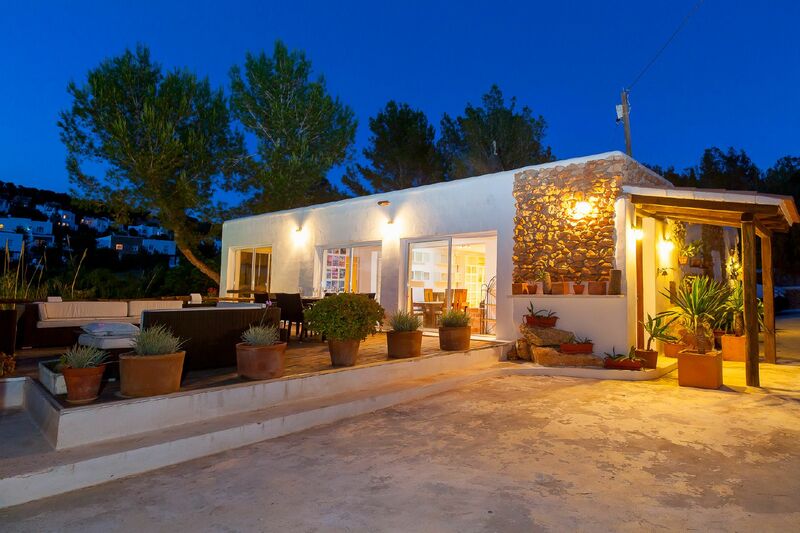 From the tranquil gardens, you have views to sea and the island of Formentera without being overlooked at any side whilst you are chilling out, or taking a dip in the pool within large tree-lined grounds. There is a pergola-covered poolside outdoor dining area and a fully-equipped outdoor kitchen with a modern built-in barbecue and an expanse of clean stone-tiled surfaces for preparing an array of delicious dishes.